QC tutor Heather Vickery is the Owner and Event Director of Greatest Expectations Special Events and Weddings, one of Chicago’s most celebrated event planning and design firms. All photos in this post are from events produced by Greatest Expectations. Is event planning your dream career? Have you always loved events and people are always telling you to start your own business but you have no experience? Then it is time to consider an internship! Internships are a wonderful way to get your feet wet in the event planning industry. They afford you the opportunity to really see what it is like on the back-end of planning. There are many types of internships within the industry. So how do you know which one is right for you? There is a lot that goes into owning and managing an event and wedding planning firm. It involves everything from answering the phones and responding to emails to marketing, managing databases, creating timelines, handling vendor orders and running promotional events (just to name a few). 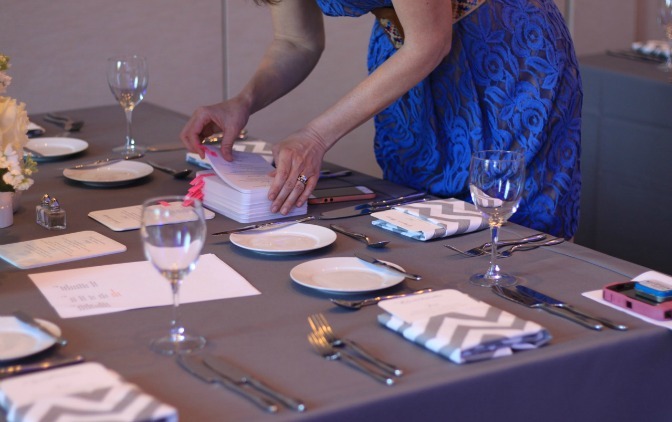 Managing an event planning firm is detailed behind-the-scenes, and quite honestly, not all that exciting. People often get stuck in the muck. A well-run business requires many systems, strategies and boundaries to keep it running smoothly. If you want to truly own and operate your own company, learning the back-end is imperative and invaluable. This is where the magic happens and what most people imagine when they think of working at an event and wedding planning intern. The best-laid plans that were put into place during the months and sometimes years of planning come together to make this one exceptional event possible. It may look like it is all performed with a magic wand, but we know it is really thanks to the diligent and dedicated work that happens day in and day out in the offices of the planners and other creative team members. Even though we have worked hard to dot our i’s and cross our t’s, the day of an event is intense, hard work. We run around for 10-14 hours (ladies often do this in high heels and dresses) making sure that all of our well-laid plans fall perfectly into place. As an intern working on-site for events you should expect to do some serious heavy lifting! Think carrying boxes, working on event set-up and steaming table linens. These are just a few of the items that on-site staff works on. With some internships, you are also able to follow the lead planner closely to see what she or he is doing. Observation is key with an internship. You should be paying attention to every single thing that happens. I assure you that everything happens with great intent and immeasurable work before, during and after the event! In some cases you might be able to attend face-to-face client and vendor meetings. This is an excellent opportunity to learn what goes on during the planning phase. How does a client get signed? What are the next steps? What questions are asked and who does the talking? How are timelines set and boundaries put into place? As an intern in this capacity you would likely spend the majority of your time quietly observing and taking notes so that the lead planner can focus on building that client relationship. It is a wonderful way to build a wealth of knowledge. If you line up with the right company you could get lucky enough to land an internship that will allow you to do all of the things listed above. This is the best-case scenario. It affords you the opportunity to learn every aspect of the planning process and the implementation on-site. I also encourage those interested in planning to consider internships with other industry-related companies. Do not limit yourself to working only on the planning side because knowing what happens with floral or catering or entertainment is equally as important. Even an internship with an invitation shop or linen company will help build your experience and provide assurance that you truly understand all of the ins and outs of this complicated industry. If you are able to tell clients that you have trained in many different aspects of events, you will gain their trust and confidence quickly and with ease. You will also gain the trust and confidence of the vendors on your creative teams. Working together cohesively with your vendors is so very important to the success of each event. Is an event planner internship part of your career path? Check back next week to learn what Heather looks for in her own interns!